1692CCVesta Led Ceiling Flush, Chrome, Clear Cryst..
74393Emergency version of our SirioDISC, complemen..
74394Emergency version of our SirioDISC, complemen..
74395Emergency version of our SirioDISC, complemen..
74396Emergency version of our SirioDISC, complemen..
74397Emergency version of our SirioDISC, complemen..
74398Emergency version of our SirioDISC, complemen..
70462The Helana is an SMD, high power LED downligh..
70463The Helana is an SMD, high power LED downligh..
70461The Helana is an SMD, high power LED downligh..
71512Using the latest in Colour Changing Technolog..
71515Using the latest in Colour Changing Technolog..
71208Using the latest in Colour Changing Technolog..
71210Using the latest in Colour Changing Technolog..
71209Using the latest in Colour Changing Technolog..
74032Ideal for domestic use, the ShieldECO range h..
73786Ideal for domestic use, the ShieldECO range h..
73788Ideal for domestic use, the ShieldECO range h..
74031Ideal for domestic use, the ShieldECO range h..
73785Ideal for domestic use, the ShieldECO range h..
73787Ideal for domestic use, the ShieldECO range h..
73719Our SirioDISC range complements our Sirio pan..
73811Our SirioDISC range complements our Sirio pan..
73720Our SirioDISC range complements our Sirio pan..
73812Our SirioDISC range complements our Sirio pan..
73810Our SirioDISC range complements our Sirio pan..
73813Our SirioDISC range complements our Sirio pan..
52403The Tetra is a high quality product that is d..
52405The Tetra is a high quality product that is d..
52404The Tetra is a high quality product that is d..
52407Our popular Xeno range is now available in th..
52409Our popular Xeno range is now available in th..
52408Our popular Xeno range is now available in th.. 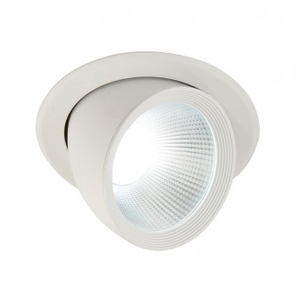 Introducing our new recessed lighting range. Recessed lights have been making a name for itself lately within the lighting world; They are slim, built in and sleek. These products are ideal for someone who is minimalistic or someone who wants a large array of brightness. They are used as a substitute in replacement of "hanging" or "flushed" lighting since they are built into appliances, walls or ceilings without being physically seen. These fittings are generally easy to install, but if you do feel uncomfortable electricians are always in hand to help. If you see a product you like and would like more information please feel free to contact us.